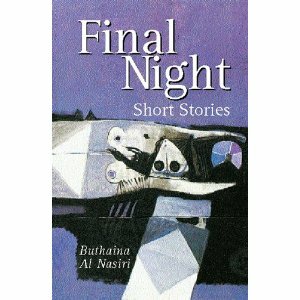 Al-Nasiri’s stories from this collection are compact, tightly structured, and character-focused. Although some of them close down too quickly—and al-Nasiri works too hard to equalize characters that are not equal—she has a strong grasp on what makes a short story work. But whereas in Hemingway’s story there are at least the hills to ground us—as well as a few sounds, and the drinks—here we know only that there is a bed, and a couch, and morning light that comes through the window. At times, al-Nasiri’s stories—particularly those that take place indoors, like “Final Night”—seem to take place on a bare stage with only a few items for setting. “Circus Dog,” he writes, is one of these early stories. “Circus Dog” is, like al-Nasiri’s other short stories, tender and non-judgmental toward all its characters (to a fault), particularly the animals. It is one of her more realistic stories, focusing on a beggar, his ill-trained dog, and their desire to find work. But, like the other stories, “Circus Dog”—at least in its English translation—could be set anywhere. The names, too, give no hint of place: beggar, dog, circus manager, elephant trainer. And any Iraqi dialect has been swallowed up and recast as standard British English. Not only could the story have been written in English, it could have taken place in the English-speaking world. Even where place is an important part of the narrative—such as in “All This Land” or “A Time for Waiting”—it appears as description rather than as an essential part of the narrative, except in brief instances like, at the end of “All This Land,” where the protagonist joins with the earth. Still, it is her relationship with her husband that has priority, not her relationship with the land. The story that comes through with the most sensory detail is perhaps “Omar’s Hen,” which is dedicated to the author’s son Omar “and his devoted hen.” Indeed, it is the animals—like the circus dog—that bring the setting alive. If it were my mission to speak about the desert qua desert, I would be unable to write even one single letter on the topic. I was driven out of my paradise as a young child, remember. And even if I were a prophet, I would not have managed to write sixty books about it from memory. … So in order to make this beloved of mine present I have had recourse to memory of another kind, what the Sufis, the Islamic mystics, like to call ‘inner memory’ and psychologists refer to as ‘the unconscious.’ For which reason the desert that lives in my heart is precisely not the same desert as exists outside my heart. Certainly, the stories in Final Night that work best are the ones that seem to come deep from the author’s inner memory—such as “Why Don’t We Go More to the Sea?” The stories that clank are the ones set elsewhere, as the strange “Homecoming,” set in Israel. “Homecoming” follows two newcomer-protagonists from Cologne named Yael/Eva and Dan/Karl. Along with a slightly realized setting, the story suffers from al-Nasiri’s desire to make all parties (artificially) equal under the light of her sympathy, although that’s another subject, I suppose.